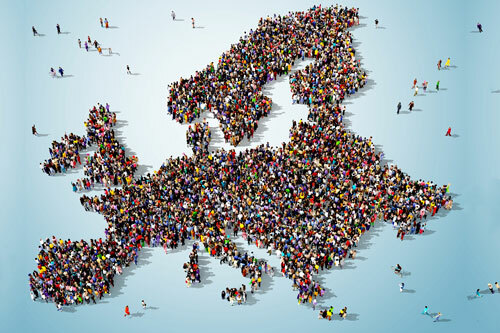 A new European Social Survey (ESS) report has found that attitudes towards immigrants from within Europe have become slightly more positive between 2002/03 and 2014/15. However, the report concludes that, while Europeans have become slightly more favourable towards migrants from the same racial or ethnic group, they have become less positive about migrants from poorer countries outside Europe. The analysis was undertaken by Professor Anthony Heath and Dr Lindsay Richards of the Centre for Social Investigation at the University of Oxford, having looked at survey data from 21 European countries. ESS Topline Results Series issue 7: Attitudes towards Immigration and their Antecedents is based on over 40,000 survey responses gathered across Europe during 2014/15. The ESS headquarters are based in the Centre for Comparative Social Surveys at City, University of London and the project is supported by the UK Economic and Social Research Council (ESRC). 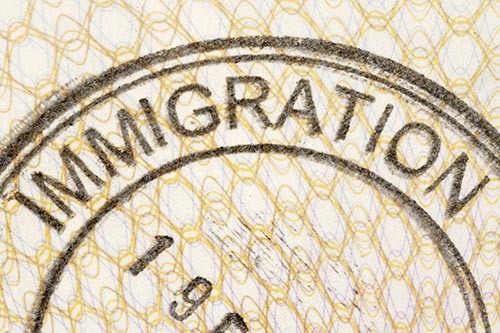 Analysis of immigration findings from the European Social Survey are being explored further at a British Academy event taking place on Wednesday 16th and Thursday 17th November. Of the 19 countries where data was also collected in 2002/03, only Austrians and those from the Czech Republic think that migration has made their country a worse place to live. In both 2002/03 and 2014/15, Sweden, Denmark and Finland are the most positive towards immigration and the Czech Republic, Hungary and Portugal the most negative. In both years Britain tended to be quite negative too – similar to France but more negative than the Nordic countries, Germany and the Netherlands. When looking at the data for all countries, Europeans are becoming more divided in their views of migrants from poorer countries outside Europe. The number of Europeans who felt that none of these migrants should be allowed to come to their country increased from 11 per cent in 2002/03 to 20 per cent in 2014/15. But there was also a small increase in the number thinking that many should be allowed to come. Substantial divisions among Europeans can be found when comparing the attitudes of people with differing levels of education, age and income level. Over 60 per cent of people with a degree think that countries should allow many or some immigrants from poorer countries outside Europe, compared with 39 per cent of those educated to lower secondary level. More than 50 per cent of young people (aged 16-34) also agree that many or some immigrants should be allowed to come to Europe whereas this figure drops to 35 per cent among the over 65s. And 57 per cent of top earners would allow many or some immigrants from poorer countries outside Europe - this figure drops to 42 per cent among those who earn the least. The report also finds that the most preferred group of migrants are people from the same race or ethnic group as the majority. Jewish people are much more welcome than Muslims, who in turn are more welcome than Roma - this hierarchy of preferred types of migrants was found in all 21 countries. Europeans continue to perceive the most negative impact of migration to be crime: 60 per cent of people across Europe think that immigration makes crime problems worse. As in 2002/03, the public in 2014/15 also feels that migrants take more from the state in welfare and use of public services (42 per cent) than they put in through taxes (26 per cent). Professor Anthony Heath, author of the report, said: “While attitudes towards immigrants in some European countries have shown small shifts in a more positive direction, the overall pattern in public attitudes is one of stability. “Europeans have become slightly more favourable towards migrants from the same racial or ethnic group as the majority but have become distinctly less positive about migrants from poorer countries outside Europe. “There is also some evidence of increasing division within societies. An increased proportion felt that no migrants should be allowed to come from poorer countries outside Europe yet we saw an increase in the proportion who felt that many such migrants should be allowed entry. Dr Rory Fitzgerald, Director of the ESS, added: “Building on the design of the ESS Round 1 module on immigration, this repeat set of questions allows for direct comparisons between 2002/03 and 2014/15 using the same measures. “The 2014/15 module also includes some new concepts, as well as detailed questions about specific groups of migrants. Professor Heath and his team have made some interesting observations about European attitudes towards immigrants, and highlighted changes of opinion over 12 years.